Award-winning fine and bridal jewellery manufacturer Hockley Mint welcomed Peruvian Fairtrade gold miners to its factory in Birmingham’s Jewellery Quarter earlier this month, producing a video of the visit that it will use to promote Fairtrade gold on its website and across social media platforms. Peruvian Fairtrade gold campaigner Dajhanna Zarate, who is the daughter of a gold miner in Sotrami, was accompanied by Macdesa miner Roger Arcos Ponte on the visit to Birmingham. The two guests were in the UK as part of a wider Fairtrade gold campaign with the Fairtrade Foundation, and were invited to Hockley Mint to see finished jewellery made from the gold mined in their communities. Hockley Mint has been at the forefront of promoting the use of Fairtrade gold in the jewellery industry, having introduced it to its own products five years ago. Hockley Mint’s managing director Gary Wroe is a passionate advocate and supporter of Fairtrade and is regularly invited to speak on the topic at industry events. 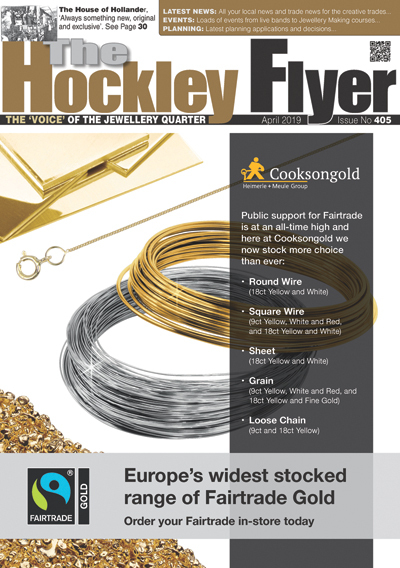 Hockley Mint’s Arctic Circle jewellery collection, which features traceable Canadian diamonds set in Fairtrade gold, was awarded Ethical Jewellery Business of the Year at the UK Jewellery Awards 2016, while Hockley Mint also won Bridal Collection of the Year, praised for the breadth and quality of its collection. Hockley Mint will promote a video of the visit on its website and via social media to further raise awareness of Fairtrade gold both within the jewellery trade and with end consumers.